The Omaha beach holds strategic importance relevant to the history of France as it was the first point of landing for the entry of American forces into Second World War. The beach at that time witnessed a lot of bloodshed and battle. 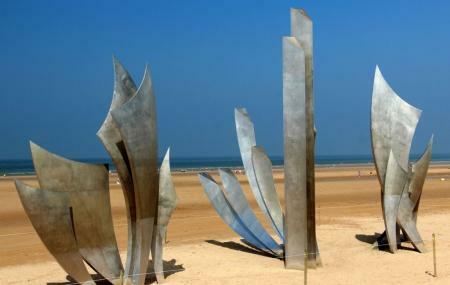 If you take a D-Day trip to the Normandy beaches you can visit this beach. Several other monuments and attractions are close by to the beach which include; 1st Infantry Division Monument, Saint-Laurent-sur-Mer, Musee Memorial d’Omaha Beach, Musee D-Day Omaha, Site de Vierville-sur-Mer, La Pointe du Hoc, Musee des Rangers – Batterie de Maisy, etc. A visit to Omaha beach is sure to be eventful and informative. The beach is about 25 minutes from Bayeux. How popular is Omaha Beach? People normally club together British War Cemetery and Longues-sur-mer while planning their visit to Omaha Beach.